Today, we took one of our favorite chalk recipes and added one simple ingredient to make the most epic chalk we have tried so far! Begin by combining equal parts of baking soda and corn starch in a bowl or container. We used a cup of each, but you can use more or less. Once mixed divide the starch powder into a muffin tin or bowl, using one bowl or slot for each color of chalk that you wish to make. 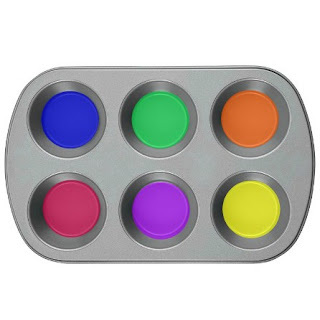 Add several drops of food coloring to each slot. Then, slowly begin to add water and stir. 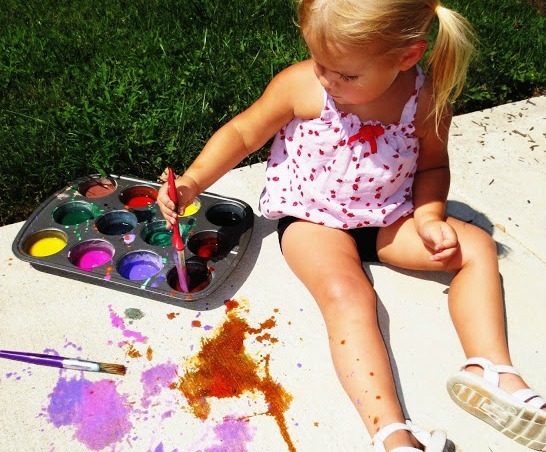 You can add more or less water to create different paint consistencies. Slowly add more water until the desired consistency is reached. That's it! It is now time to head outside! Don't forget to take your Pop Rocks! 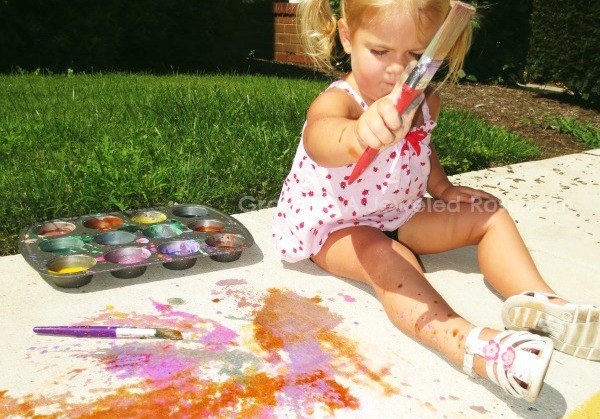 Once outside and ready to paint add Pop Rocks to each of your colors of chalk, and the creating can begin! 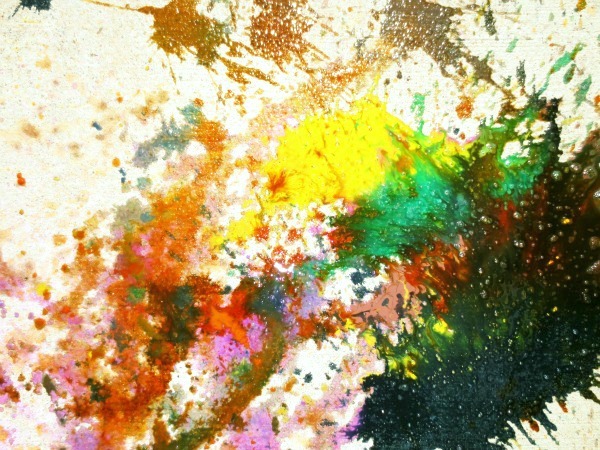 As soon as you add Pop Rocks to the paint the colors begin to fizzle, pop, & bang! My kids were in awe of the fizzing popping chalk & thought it was the coolest thing! When using their fingers to paint the Pop rocks tickled their tiny hands, causing uncontrollable giggling. It's quite hard to capture, but the effect of Pop Rocks in the paint actually lasted for quite a while! Add more as needed to get the fizzy-pop fun going all over again! Once we were out of Pop Rocks I gave the girls squirt bottles of vinegar so that they could make their chalk fizz & pop again! 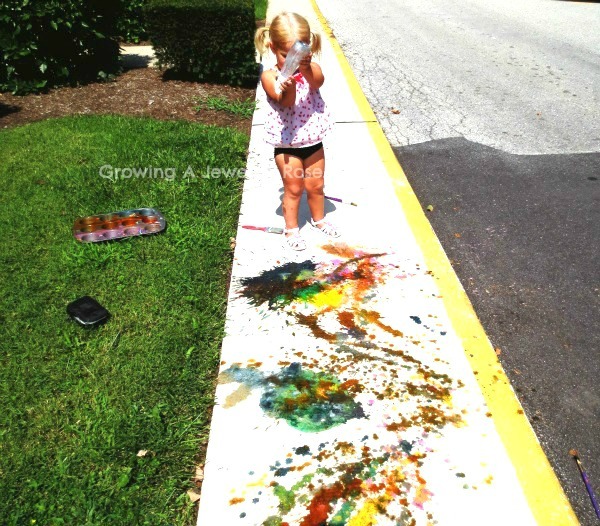 Since we used baking soda in our recipe the paint will erupt when squirted with the vinegar.